I don't think it's a secret to anyone who reads my blog that I love doing hand work. We live in such a busy world and often I find myself compelled to finish things as fast as I can in order to begin the next new project. Hand work slows all that down. Sitting quietly and focusing on the small project between my hands brings such peace and allows time for reflection. A few years ago my dear friend, M, and I decided to choose a project to work on that would encourage us to schedule time to get together and invest in our friendship. Life can get so busy that having a reason to get together helps make it happen. 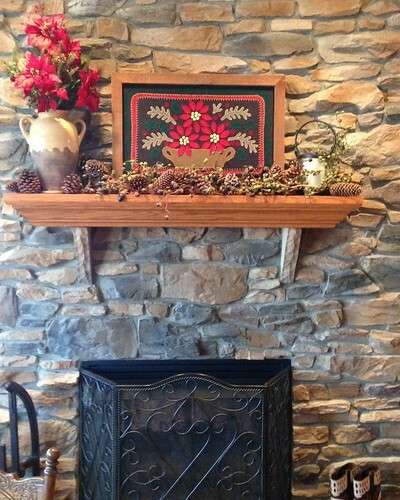 We chose this beautiful Poinsettia Basket pattern Leah Smith of The Country Cupboard. As we worked our way through this pattern I taught M how to do the blanket/buttonhole stitch on wool felt. This beautiful fireplace is at my friend, M's, house. Each Christmas M displays her lovely wool felt picture on her mantle where the beauty of the pattern has drawn many admirers. (Her husband made the great frame for her picture!) This fall M asked me if I would teach a wool felt class to friends and family and we chose a Saturday morning in November. These small candle mats use both the blanket/buttonhole stitch and a decorative running stitch. The circles and chunky star are so easy to stitch and I like how the running stitch adds to the texture. We had several different colored pieces for the students to choose from. Each student was able to complete the project in one morning and seemed to enjoy the process. We had some great laughs as new skills were learned :o) I'm looking forward to teaching again! 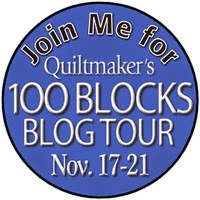 100 Blocks Blog Tour Magazine Winner!! Such an exciting week this has been! 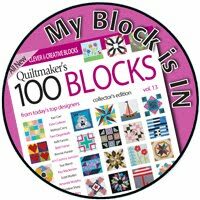 I hope you've enjoyed visiting each of the blogs for Quiltmaker's 100 Block, Volume 10 block designers...I know I have :o) It's fun to learn the inspiration behind the design of a quilt block. Learning about how the block testers contribute to the process was interesting, too! Such patient and talented ladies they are! For the magazine drawing I asked readers to tell me how long they've been quilting and how they got started. Wow did I enjoy reading the stories you shared with me! I have to admit that more than one of them brought tears to my eyes. It is so wonderful how quilting has brought together people from across the generations and given family and friends a vehicle to create bonds. 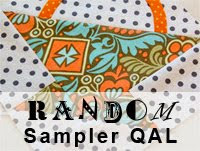 I used the Random Number Generator to pick a winner for an issue of Volume 10 to be sent directly from Quiltmaker's. The winner is No. 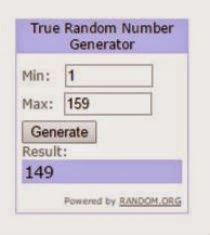 149!! Hooray!! I've sent Verna an email to let her know she is the magazine winner from my drawing. 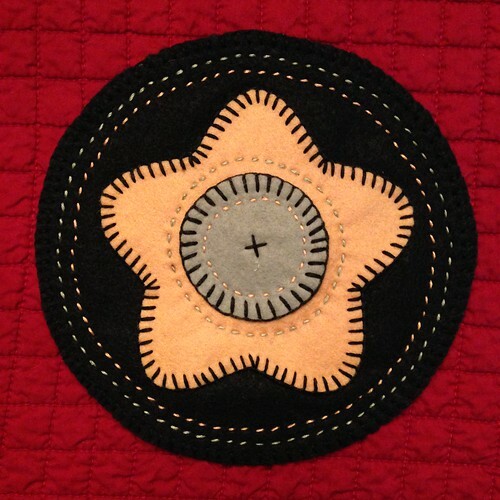 Verna blogs over at The Quilting Loon...go check out a few of her quilts. 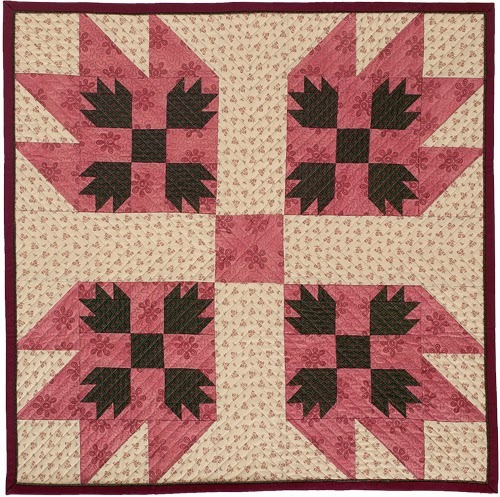 I believe we can read about the pretty quilt she mentions in her comment here. 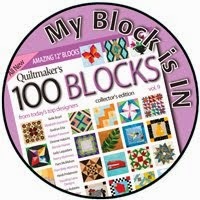 What a privilege it is to be part of the monumental tenth issue of Quiltmaker's 100 Blocks. This publication provides such a wonderful opportunity for both new and experienced designers to share their creative ideas. 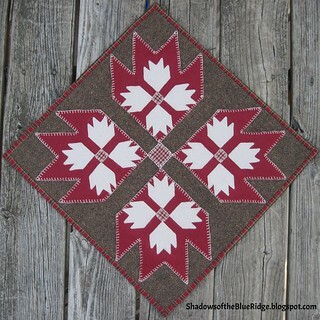 This is the second issue I've had a block in...the first was my Dashing Geese block in Volume 9. Inspiration for the Nested Bear Paw quilt block came from a wool felt wall hanging I designed and made. Inside each large bear paw is a smaller set of paws. When making this design with wool felt it was pretty straight forward to get the layout to work; however, when it came to translating it into a quilt block I had to rethink the dimensions in order to get the small set of paws to fit inside the larger paw. It took me a while to get this figured out. 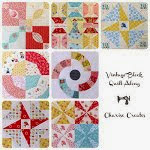 This is a block that lends itself to both modern and traditional quilts. 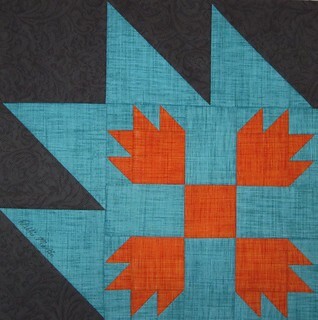 When making my block for the magazine (picture above) I used Moda's Puzzle Pieces in Jacquard Black for the background and P&B Textiles Color Weave in Orange and Light Aqua for the paws. These fabrics tend to have a modern feel. 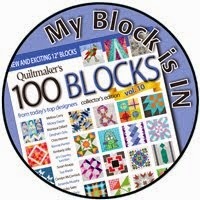 Quiltmaker's is generously giving one of my blog readers a free issue of 100 Blocks, Volume 10. To be entered into the drawing just leave me a comment telling me how long you've been quilting and how you got started. If you suspect you may be a "no reply" blogger please make sure to include your email address in your comment. I'll draw a random winner on Friday evening, November 21. 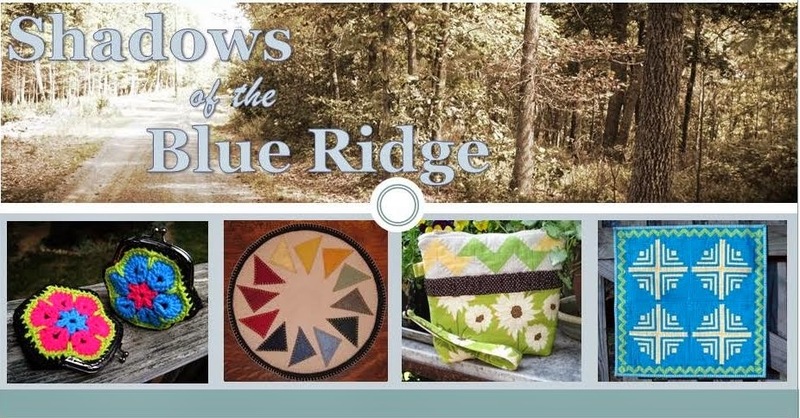 Thank you so much for stopping by Shadows of the Blue Ridge :o) If you'd like to follow my blog in the upper right side bar are options for BlogLovin', email, and Google Friends Connect. 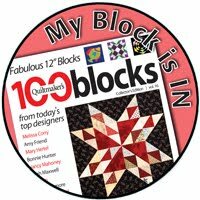 I hope you are enjoying this special week and visiting the blogs of many block designers, as well as sponsors to the blog tour! 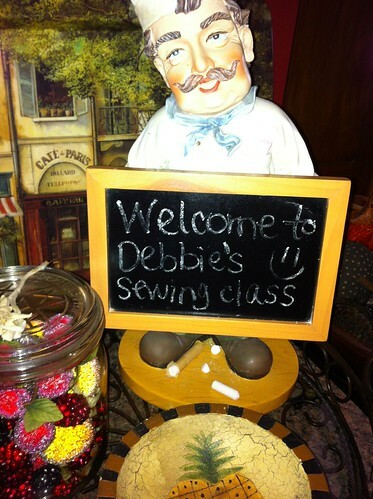 Quiltmaker's Excitement is in the Air! Can you feel it? 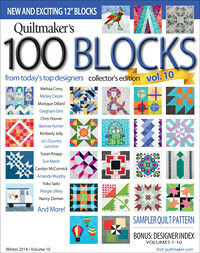 There's a buzz in the air...Quiltmaker's 100 Block Volume 10 has arrived in stores! My local quilt shop, The Scrappy Apple, reports issues of Volume 10 are selling fast and furious. 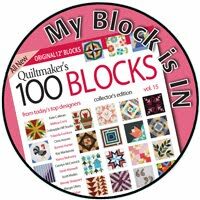 To celebrate reaching the 10 issue milestone Quiltmaker's put together a fun video. Click the video image to watch it. 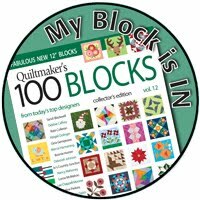 Join me back here on Wednesday, November 19 to play along on Quiltmaker's 100 Blocks blog hop...I'll share a bit of background on my block and hold a drawing for a free issue of the magazine. See you on Wednesday! 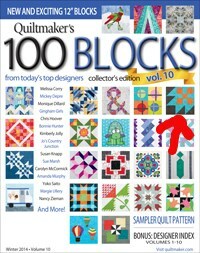 Ten...that's how many issues of Quiltmaker's 100 Blocks are now in print. 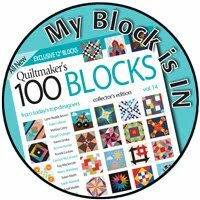 That means 1,000 quilt blocks have been designed, submitted and published. Wow!! Now that's impressive :o) Even cause for a celebration!! Admittedly, I am late to join in on the 100 Blocks fun with Dashing Geese in Volume 9 being my first submission and acceptance. To have a block included in the milestone tenth issue is, to me, quite an honor. Something I appreciate about this publication is the opportunity it provides for anyone to experiment with designing. For quite a while I would mull over how I could follow patterns created by others and come out with a beautiful product, but wonder if I had any capacity to design. I so appreciate the vision that designers have...looking at things in ways not previously thought of. 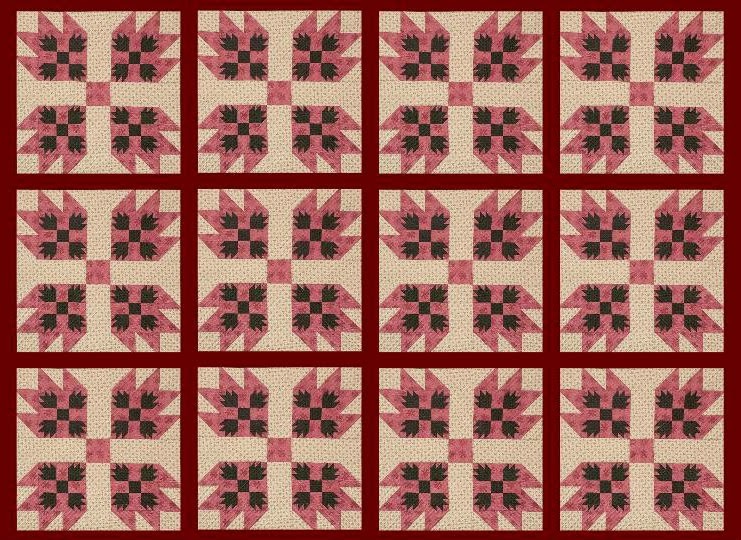 How fun to know, that even on a small scale, I can design an original quilt block. p.s. My block made the front cover of the magazine!! Wow, how fun it was to discover that...I may have squealed and danced around a bit :o) Can you guess which one it is? I won't tell until the blog hop...hope to see you then!